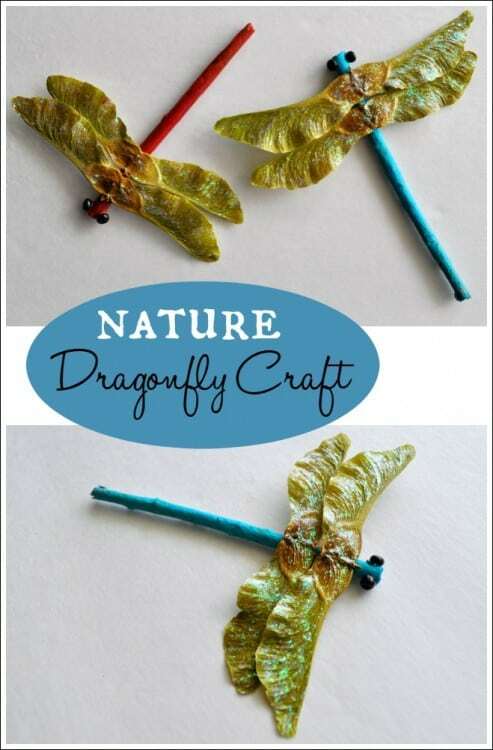 With these 6 cute dragonfly crafts, you will be left loving all things dragonfly. 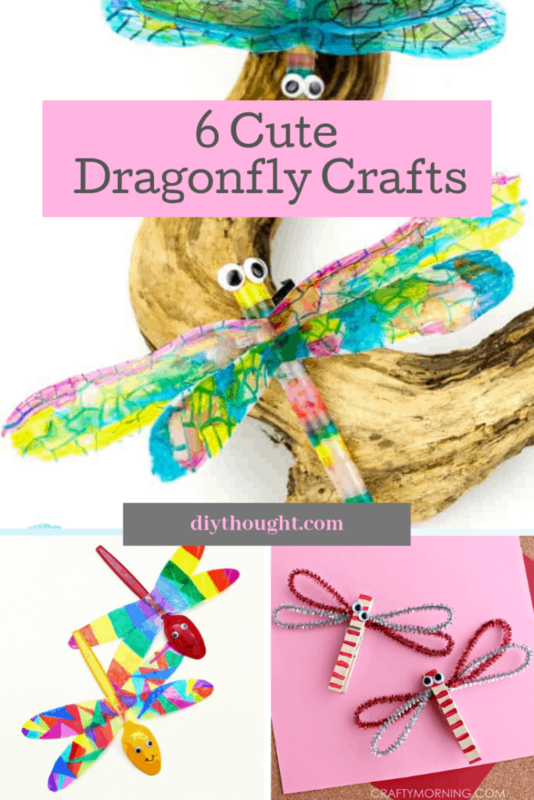 These dragonfly crafts are all totally adorable and great fun for a wide range of ages. From beading to painting and Sharpie crafts there is a good selection for every dragonfly fan here. 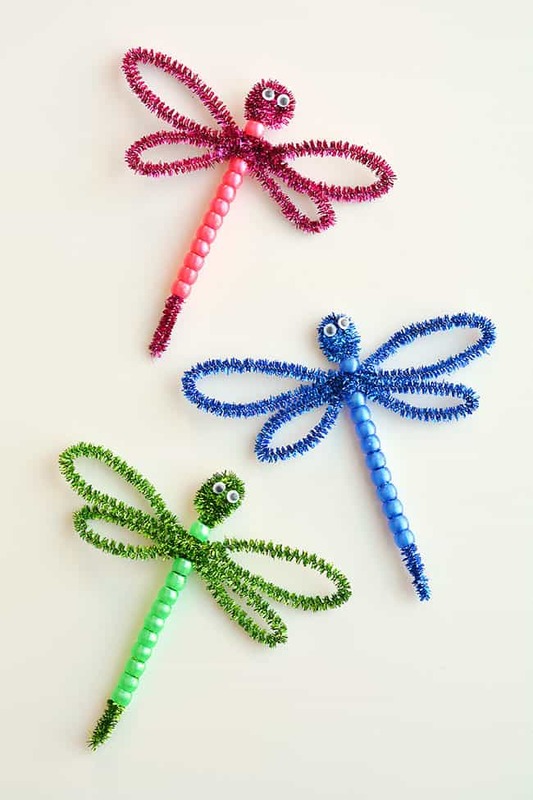 These beaded pipe-cleaner dragonflies are ultra cute and super fun to make. All you need are pipe cleaners, plastic pony beads, and googly eyes then you are ready to get creating! Head over to One Little Project to find out more. Print out the free template and then get decorating using paints and q-tips. This is a great craft painting project for all ages. Head over to Projects With Kids to read the full tutorial. 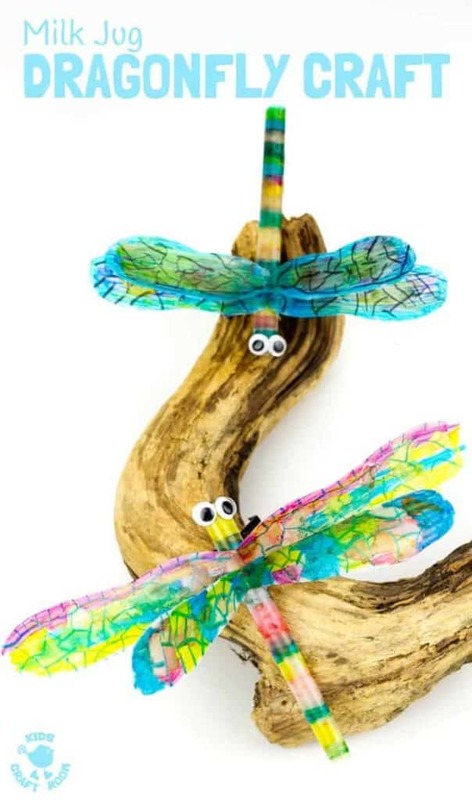 Get outdoors and gather your supplies before having fun creating this cute nature dragonfly. Click here to read the full tutorial. 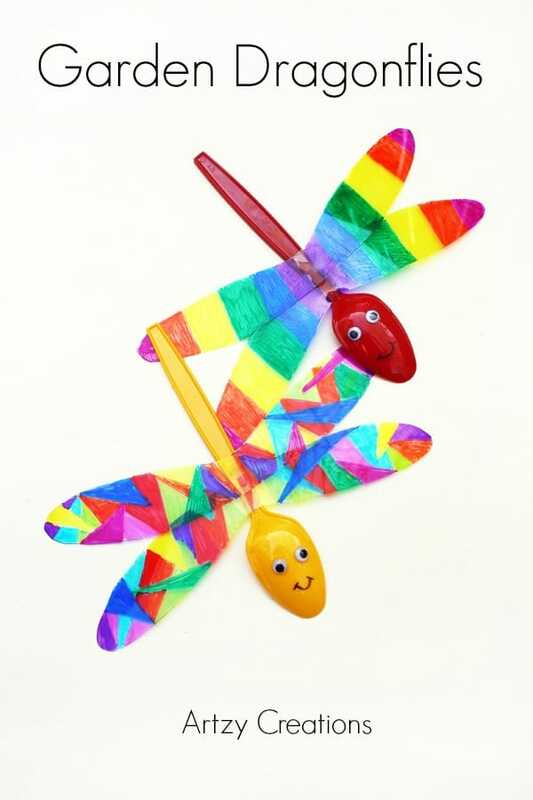 Cute and colorful these garden dragonflies are sure to be a hit. Kids will love getting creative designing the wings in their own unique style. Visit Artzy Creations to get the full tutorial. 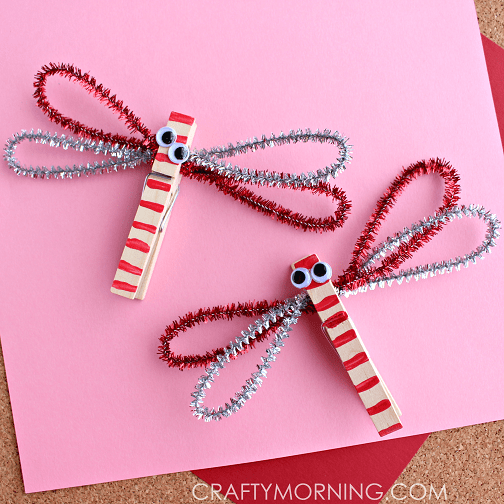 These clothespin dragonflies are very easy to make and totally adorable with their googly eyes. Head over to Crafty Morning to read the full tutorial. Put an old milk jug to good use with this awesome dragonfly craft. The dragonfly is colored with Sharpies and rubbing alcohol. This is one amazing craft idea! 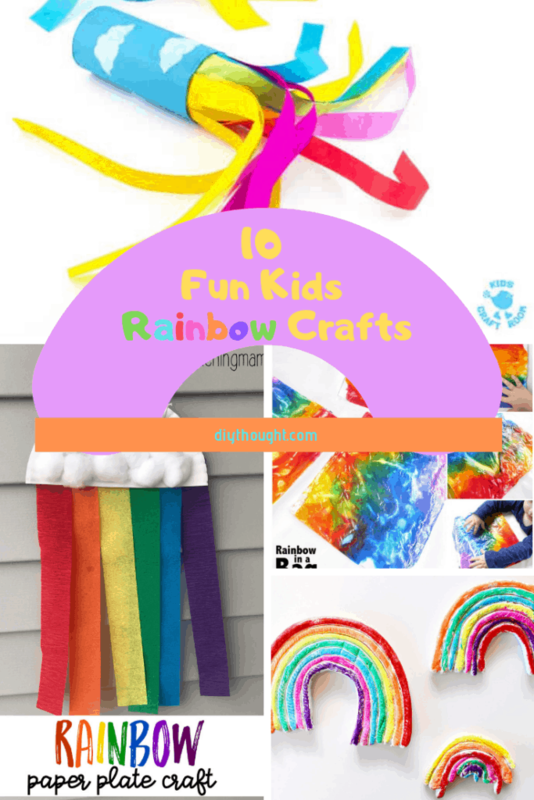 Visit Kids Craft Room to get the full tutorial.